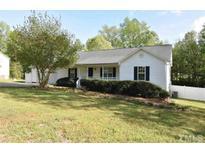 Summerwind Plantation - Great SCHOOLs & LOCATION! See Agent Remarks. MLS#2245479. 2503. Summerwind Plantation - 10Yr STRUCTURAL WARRANTY. Great SCHOOLs & LOCATION! MLS#2245485. 2503. 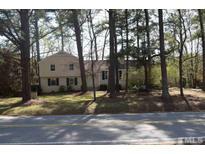 Great location, mins from shopping & dining. MLS#2245344. 3807. 3 minutes from Lake Benson Park, 3 minutes from White Deer Park, 2 minutes from the new YMCA! MLS#2245324. 4870. Adams Point - Large private landscaped patio that backs up to woods. HUGE SAVINGS, NO CITY TAXES. MLS#2245244. 1618. Turner Farms - Location will have easy access to future 540. MLS#2244314. 988. 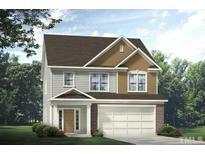 Everwood - Minutes from White Oak Shopping Center. MLS#2244462. 1710. 2nd floor w/ HUGE bonus room, 2 bedrooms and full bath. MLS#2245056. 835. Easy access to I-40, Hwy 42 & shopping. Must see!! ! MLS#2243380. 1128. Bedroom 2 has its own bathroom. Extensive trim throughout. MLS#2244884. 1768. Staunton Meadows - Roof new in 2007! Bring your Pets! MLS#2244220. 3005. South Hills - Huge Lot, Wired Storage Building, Patio & Fire Pit Area, New HVAC in 2016, New Stainless Steel Stove & Microwave Oven and more! MLS#2241288. 1854. 3,000 dollars towards closing cost if you use preferred lender. MLS#2245054. 5044. Ridgeview - Will take offers up until 5pm on Saturday, 3-30-19 MLS#2245162. 469. 2nd floor Master w/Trey Ceiling, His & Her Closets w/Wood Shelving, seperate.Tub & Shower w/Decorative Tile, Bedroom w/Private bath, 2 Bedroom's w/Jack & Jill BATH MLS#2244829. 3807. The 3 car garage is great for storage or workshop MLS#2244598. 968. Covered Farm Porch full length of front of home! MLS#2244463. 4233. Minutes away from 40, 440 and 540! MLS#2244529. 2731. Large lot to expand or enjoy! Welcome Home! MLS#2244466. 986. This home also includes 1308 SF of unfinished basement! MLS#2244168. 5043. Clifford Grove is convenient to downtown Raleigh and White Oak Shopping Center. MLS#2244152. 782. Upstairs there are 2 bedrooms, the Master bedroom, the laundry room, and a closed in Bonus! Pictures of Model. MLS#2244160. 782. Chadbourne - EZ Screen porch. Patio. 3 Car Garage MLS#2241489. 4498. Kyndal - Huge flat fenced backyard, screen porch & grilling patio MLS#2243983. 2731. This home is part of the South Creek Homeowners Association, Inc. MLS#2244032. 4823.